Anchorage, Alaska is a remote place, but its population is large and growing, comprising nearly 300,000 people. Around 40 per cent of the state’s total population, live in the city and there are three funeral homes within Anchorage’s city limits. 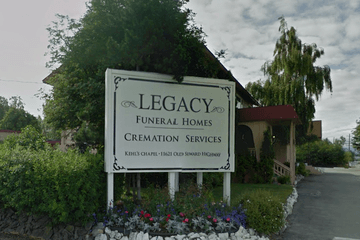 Funeral homes in Anchorage understand that families’ choices are somewhat constrained due to the city’s remote location, so they are generally prepared to do anything they can to accommodate different practices for families in need. The area is also home to people of a very wide range of cultures and ethnicities (including particularly notable numbers of Mexican, Russian and Native American residents), so it is already common for funeral homes in Anchorage to adapt to the different needs of individuals in their community. Alaska’s cold weather makes burials impossible for most of the year, but remains can still be interred during the state’s four months of summer weather when the ground has thawed. People who die at any other time during the year must have their remains placed in cold storage until burial is feasible, making cremation at one of the many private crematories in the area the preferred option for many Alaskan residents. Nevertheless, Anchorage’s Angelus Memorial Park is open to families with a preference for burial. Anchorage laws state that remains must be buried in an approved cemetery, and that a record of a person’s death must be filed with the state records office within three days. As previously mentioned, refrigeration is also required if the remains are not buried or cremated within 24 hours of the time of death. Search by area or ZIP code now to find Anchorage funeral homes near you. Order search results by best rated, most reviewed or nearest to quickly and easily compare funeral homes. Click on a funeral home’s profile to read customer reviews, learn more about the services they provide, and get in touch to begin making funeral arrangements for your loved one.